A heavy duty sealer tool for 12mm pallet strapping, branded by pro-series. For use with 12mm hand pallet strapping coils and 12mm semi open metal seals. 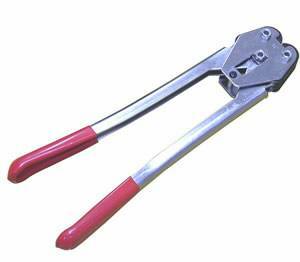 A tensioner tool is also recommended if you are using a sealer to assist with strapping.